When clients come to me seeking help with making the decision as to mother or not to mother, I find I am in a unique position as a 44 year-old women’s psychotherapist who has chosen not to have children. I have been in private practice for more than a decade and have come across this topic too many times to count. In general, I’d say most women between the ages of twenty-five and forty have a lot to say on the subject and are often quite confused about the parenting option. This one is very common unfortunately, and saddens me when I come across a woman in this circumstance because these women desperately want to mother, but don’t have the partner to create the family of their dreams with. What I often advise women in this situation to do is to explore other ways to have a family (i.e., artificial insemination or adoption). Sometimes they are open to these options, and sometimes not. If not, I work with them on grieving the loss of the ‘dream’ of being a mom. I encourage clients in these situations to really get in touch with their wants and needs, aside from their family/in-laws’. I may tell them a story of a woman who had children to please her family when she didn’t really want them and the tragedy of how that turned out. Unfortunately, we needn’t look too far to find examples of this, as they’re all around us. Sometimes a woman’s culture and/or religion can be a huge barrier to saying no to motherhood and it’s not always possible to break through these taboos. I have had many clients who became pregnant by accident and are feeling really conflicted with whether to go ahead with the pregnancy or have an abortion. This is an incredibly hard place to be in, and the decisions are far-reaching and stay with us for the rest of our lives. These cases are very complicated, but I find it’s still helpful for women in this situation to talk about their thoughts and feelings re: bringing a child into the world, regardless of the final decision. I also have many clients who had children after becoming pregnant accidentally and this can have some tough repercussions as well, later on; especially if they were very young when they gave birth. There can be a lot of guilt around wanting to let loose, have fun, and explore things just for themselves — that don’t involve being a mom — if they’ve chosen this role early on. There is also often grief around what they had to give up when they chose the early motherhood route. Many of my clients tell me they really want to be mothers but due to being abused as children, are afraid they will abuse their own children. This is understandable because abuse tends to be passed on from one generation to the next. However it is also a fact that the cycle of abuse can be broken in just one generation. What this means in practical terms is that if one is conscious and aware that she doesn’t want to abuse her own children, and is willing to do the psychological work (i.e., therapy) needed to understand and let go of her own experience of abuse from the past, there is no reason she should think she wouldn’t make a perfectly good mother. I have many clients who either themselves, or their partner, suffers from eating disorders, anxiety/depression, or various addictions and understandably do not wish to pass these onto their offspring. While many of these issues have a genetic origin, they are also largely lessened or worsened by the environment in which a child is raised. In other words, it comes down to being very conscious and aware that these issues may arise and lots of proactive work on the part of the parents needs to be undertaken in order to greatly diminish the risks to their children. The most important work one can do in this regard is to ‘heal thy self’ first, and become a living example of someone who has overcome adversity. In this way, one can be a healthy role model for the next generation. 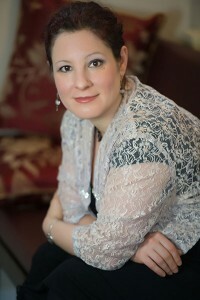 Esther Kane, MSW, RSW, Registered Clinical Counsellor, is a psychotherapist in Courtenay, B.C. To learn more about Esther and her work, please visit her website. To read the other blogs in the Mothering Matters series and/or to subscribe to receive the weekly blogs via e-mail, here is the link. To view a documentary about the ‘to be or not to be…a mom?’ decision, please click here to view Whatever Floats Your Boat…Perspectives on Motherhood. This is a very informative article. I wish more people had the inclination/funds to talk to a professional when making big decisions in their lives. Esther Kane must indeed have interesting days at the office. I totally agree, Sherelle! I SO wish more people had the inclination to take the time and talk to a therapist about the decision of whether or not to become a parent. I think so many people just assume that that is what they are supposed to do because it is expected of them, without thinking through the full ramifications on all concerned. And yes, I bet Esther DOES have some pretty wild days at the office…I can’t even imagine being a therapist. It is an emotionally and mentally demanding profession that requires much compassion and patience.